In the previous part of this tutorial series, you saw how to implement the update and delete post feature for our React blog application. 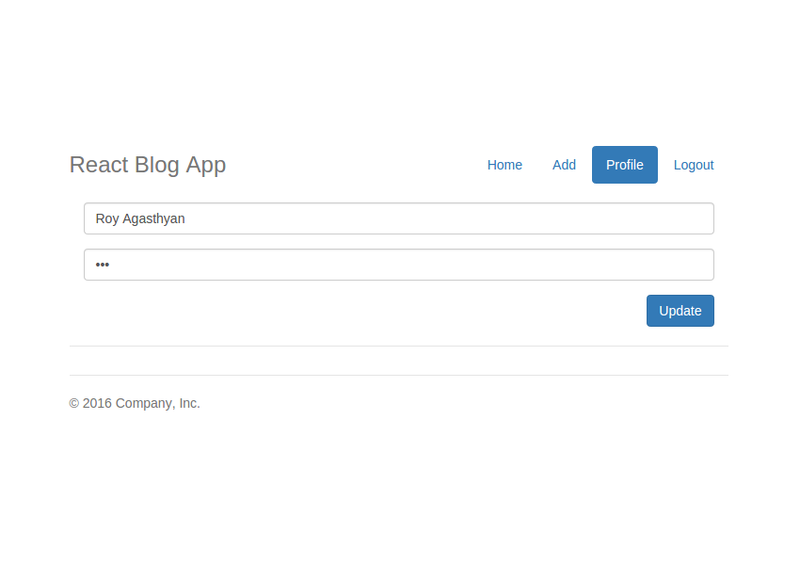 In this tutorial, you'll implement the profile page for the blog application. Let's get started by cloning the source code from the last part of the series. Once the directory has been cloned, navigate to the project directory and install the required dependencies. Start the Node.js server and you will have the application running at http://localhost:7777/index.html#/. Save the above changes and restart the server. Point your browser to http://localhost:7777/ and sign in to the application. Once logged in, you will be able to view the menu list with the profile link. For the profile menu link to work, you need to add a new route to the existing routes in the home.jsx file. When the profile page is loaded, you need to fetch the details from the database and populate it in the form. Add the code in the getProfile method inside the ShowProfile component to make the AJAX call to get details about the user. As seen in the above code, you make a call to the MongoDB using the MongoClient to query the user collection based on the email address. Once the result is received, it's returned back to the callback function. Save the above changes and restart the Node.js server. Point your browser to http://localhost:7777/#/ and log in to the application. Click the profile link in the menu and you will be able to view the profile details populated on the page. Bind the methods in the ShowProfile constructor. Once a response is received from the POST call, the screen is navigated to the blog post list. Inside the app.js file, create a method called updateProfile which will parse the passed-in parameters and make a call to the MongoDB database. As seen in the above code, once the parameters are parsed in the updateProfile method in the app.js file, the user.updateProfile method is called with changed name, password, and username. In the above code, you updated the user details based on the email address using the updateOne method. Save the above changes and restart the server. Log in to the application and click on the Profile link. Change the name and password and click the Update button. Try to sign in, and you will be able to log in using the new password. 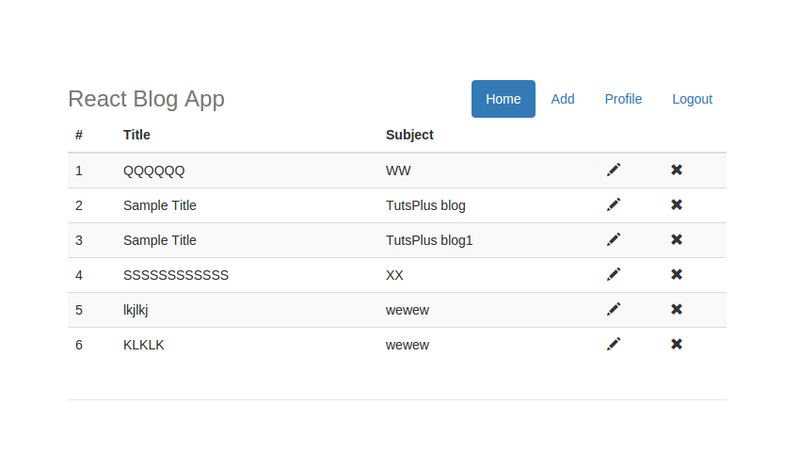 In this tutorial, you implemented the profile page for the blog application. You learnt how to fetch details from a database and populate it on the page using React. You also implemented the functionality to update profile details. Source code from this tutorial is available on GitHub. Do let me know your thoughts or any suggestions in the comments below.